Date of birth: January 9, 1995. Daria Klyukina thought that on the TV show she would meet love and forget the ex-boyfriend. Dasha did not know anything about the actor Ilya Glinnikov: the girl did not see a single series of "Interns". But liked the main bachelor of the Ural. Glynikov also fell in love with Dasha: in an interview Ilya admitted that he had never met such sincere girl before. Daria Klyukina was one of the first to receive a rose from a bachelor. On the project, Dasha seem to be acting with almost genuine modesty and humility. The girl was embarrassed by the cameras, did not discuss rivals, did not create intrigues, did not quarrel and did not fight for a bachelor. 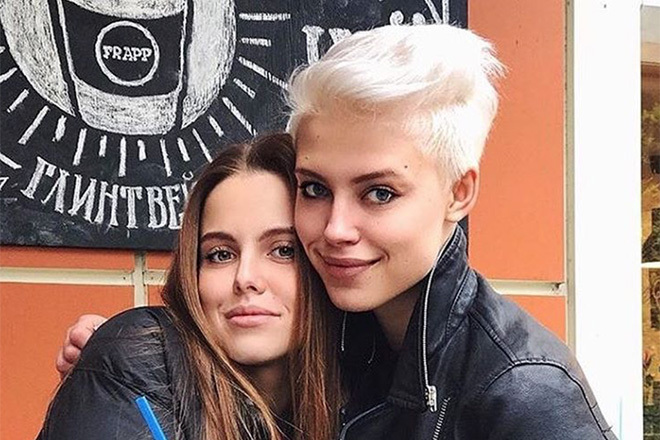 Klyukina made friends with the participant Snezhana Samokhina and calls her the closest girlfriend. Darya Klyukina and Ilya Glinnikov had three romantic dates in Malaysia, Sri Lanka and Sochi. Fans just felt the chemistry between them, but on a date in Sochi Dasha unexpectedly left the project, confusing the TV show producers and upset the army of fans. At the last date at the Sochi restaurant Ilya poured his heart out to Daria, telling about the pain after the parting ways with his beloved girl. But instead of response, she admitted that she did not really feel the hold touch thing anyway, and she was leaving the project because she did not see a joint future. Dasha left the TV show, and Ilya surprised the operators and viewers by bursting into tears, unable to restrain emotions. You can see these bright and emotional moments of the show on the official website of the TV channel. In the next series, the bachelor, hoping that the girl will return to the show, went to Sochi. Ilya came to Darya Klyukina's home, but Glinnikov met not Dasha, but her friend Snezhana Samokhina, who also left the project. Snezhana told Ilya that Dasha had renewed her relationship with ex-boyfriend. In an interview, Daria Klyukina confessed that after leaving Glinnikov at the restaurant, she did not see him again and regretted leaving Ilya in a huge upset. Learni ng that the bachelor will come to her to congratulate her on her birthday, not alone, but with the crew, Dasha refused to meet him. The girl did not want to be under the sights of the cameras on her birthday. Daria Klyukina in the show "Bachelor"
Klyukina, who had the prospect of becoming the winner of the project and playing a wedding with the country's main bachelor, gave up the chance and did not return to the project, although this was expected from the girl by Glinnikov, the TV show producers and millions of viewers of the program. Daria Klyukina says that she will not talk with Glinnikov after leaving the project, because Ilya immediately stated that he did not come to the TV show for the sake of friendship, but in search of a wife and with a dream about the family. Dasha admitted that considers competition with other participants and a fight for the heart of a man an unpleasant moment of the show. Daria Klyukina claims that she was happy to get out of the camera lenses, return to the comfort zone and live as she likes. After leaving the show, Darya Klyukina visited Yekaterinburg to see her relatives and "close" the debts on her studies. In 2017, she graduated from UrFU with a degree in State and Municipal Management. In May 2017, the ex-participant of "Bachelor" met with fans in Yekaterinburg: gathered half a thousand fans at the shopping center "Mega" . Klyukina attracted more than half a million followers on Instagram. Dasha complains that there were many fake accounts, so she wrote a video message, holding a sheet with the written login of the official Instagram page. Fakes on the Internet - not the only problem of the girl. After Daria Klyukina became known throughout the country, the girl was faced with the fact that many unfamiliar people are happy to discuss her face and figure. There were rumors about plastic surgery, which Dasha allegedly resorted to. There were fake news and photos, in which Kliukina supposedly differs before and after plastics. On the question of journalists about personal life Darya Klyukina answered more than once. For the first time she fell in love in the 5th grade, but the boy she liked did not pay any attention to her. Story repeated at the institute, when Daria made the first move, but soon realized that the female activity scares men. Daria Klyukina says that her ideal man - certainly kind, condescending, attentive and cheerful. Beauty and wealth are not necessary, because for the sake of happiness she does not need millions, yachts and villas. But the mind is indispensable. In an interview she stated directly that she considers the mind to be the sexiest component of the personality of a future husband. In her spare time, Klyukina listens to music and sings, loves sports, eats seafood and Ukrainian borsch, which cooks well. Daria calls addiction to hookah her bad habit. And the girl is afraid of heights and public appearances. After the show "Bachelor" Dasha renewed the relationship with ex-boyfriend, and for a while they lived together. Daria Klyukina understood that feelings were alive, after an emotional shake-up on "Bachelor". But less than a year after leaving the project, Daria told the press that her heart was free. After leaving the project, Daria Klyukina received an invitation from the capital's producers for the casting of the series, which was shot by TNT. Daria Klyukina appeared in one series of the comedy project "Street". This is a series about the inhabitants of the outskirts of the metropolis. The authors of the project argue that "Street" is trying to show the diversity of the residents of the district, telling about the lives of students, factory workers, housewives, businessmen and other people with their own particular sorrows and joys. So, the debutante actress had enough time to reveal her character. Subsequently, in an interview she said that she did not even expect that she would manage to do everything right, and admitted that she dreamed of the cinema and making a career in this field. Also, the girl appeared in Misha Marvin's "Stand Out!" music video. The song quickly became a hit, and the music video featuring Klyukina became popular. In early 2018, there were rumors that Daria Klyukina again become a participant of the show "Bachelor" and this time will fight for the heart of Egor Kreed. Now Dasha, who has already achieved popularity, has a different attitude to talking to the camera, and to her own shortcomings, so the girl's fans expect that she will be less embarrassed about filming. Moreover, thanks to hard work with the teacher, Daria practically got rid of the stammering stuttering. In parallel with the news that Daria returned to the show, there was even more sensational rumor. As you know, the releases of such TV shows are filmed in advance, so in January 2018 the fans assumed that the whole season of the "Bachelor" with Egor Kreed was already filmed, and the musician's bride had already been chosen and it was Daria Klyukina. The show premiered on March 11, 2018, and Daria Klyukina again became the first girl invited to an individual meeting with a bachelor. Egor gave the rose to Dasha without words, and then explained that he had maintained with Daria eye contact. 2017 - Misha Marvin's music video for the song "Stand out!"